Stefan holds a BSc in biology and a MSc in geography, Westfälische Wilhelms-Universität, Münster (Germany). He received a doctoral degree in Human Ecology from Lund University, Sweden, in 2001. In between 2002-2003, he was a postdoc at the Department of Cultural Geography, Freiburg University, Germany. Stefan was appointed Associate Professor in Human Ecology and Cultural Geography at Lund University in 2005. He was promoted to Professor in Human Ecology at Lund University in 2008, and also holds a Professorship in Tourism Research at Kalmar University since 2009. He is research coordinator at the Research Centre for Sustainable Tourism. 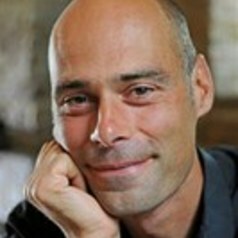 Stefan has extensively worked with sustainable tourism in the Western Indian Ocean (fieldwork in Mauritius, Seychelles, Zanzibar, Madagascar, Sri Lanka) as well as in Jordan. He has also worked with sustainable transports (mostly aviation), renewable energy, carbon offsets & Kyoto, as well as tourism and climate change. His research interests include tourism and climate change, tourism and development, mobility studies, renewable energy, low-carbon tourism, as well as climate policy and carbon trading. Recent books include Tourism and Global Environmental Change (2006, Routledge, with C.M. Hall), Sustainable Tourism Futures (2009, Routledge, with C.M. Hall and D.B. Weaver), and Climate Change and Aviation (2009, Earthscan, with Paul Upham). He has also been a co-author of Tourism and Climate Change: Responding to Global Challenges (UNWTO-UNEP-WMO 2008) and a contributing author of the IPCC AR4.